Come celebrate Portland’s creative youth during our seventh annual Verselandia! poetry slam. This city-wide event features students from Parkrose, Roosevelt, Metropolitan Learning Center, Benson, Lincoln, Gresham, Sam Barlow, Franklin, Madison, Wilson, Jefferson, Grant, and Cleveland high schools competing for poetic glory. Verselandia! is the Grand Slam for the winners from individual school slams hosted by public high school library media specialists. 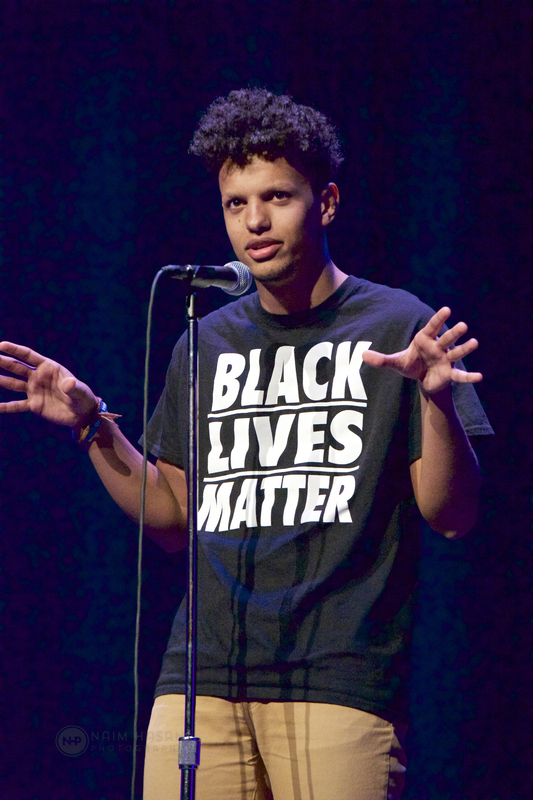 Following the same rules as national poetry slams, students must perform original work without props, costumes, or music in front of a panel of judges and a live audience. Using a scale of one to ten, Verselandia judges will rate both the performance and the writing of each student. Five students with the top scores will walk away with great prizes, but only one will be a champion. Please note that high school students may use adult language and explore adult themes.